Whether you are looking to change-up your workout routine or just getting into fitness, your bike is waiting! Let’s set-up your account so you can walk into TEAMride ready to go! Sign up using your Facebook to start getting social from the start. Meet other riders, follow instructors and book next to your friends. Not ready for that commitment quite yet? Sign-up using your email for now… you can always opt into the social stuff later! All set up? Head to the Buy Classes Page and put a ride into your account (make sure you select shoes if you need them!) and insert coupon code: ridewithus for your 1st ride on us! Once you have at least 1 credit in your account, you can now check out the schedule page. 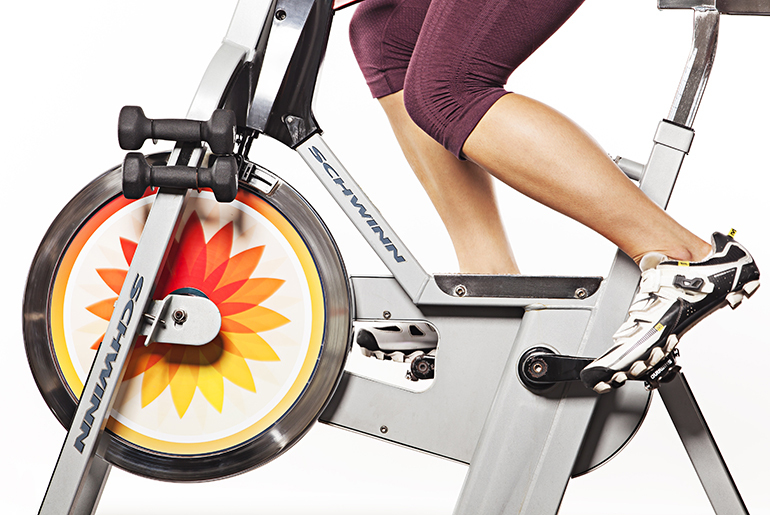 Choose a day and time that works for you and pick out your bike in our studio! First time riding? Make sure you grab a spot in one of the back rows. If we notice you’re new in the front row, we will relocate you. Please arrive 15-20 minutes early for your first class so we can check you in and get you properly set-up on your bike before class begins. If it’s not your first ride, arrive 5-10 minutes early. Bikes are given away 2 minutes before class begins to anyone present from the wait list. Running late? Call the studio at East Sac (916)455-7000 | Midtown (916)321-9215 | and your bike will be held. We have a firm 10 minutes no admittance policy. If you’re not on your bike within 10 minutes of class starting, you will not be allowed into class.